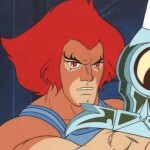 Larry Kenney the man best known for his voice work as Lion-O on the 1980s cartoon Thundercats will be a guest at the 2013 Canadian 80s Toy Expo on April 14th. In recent years, he has reprised this role for ThunderCats references on the animated series Family Guy. 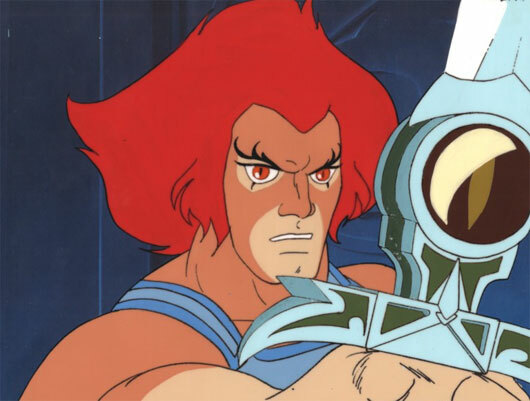 He was also the voice of Bluegrass in SilverHawks, and voiced Claudus, Lion-O’s and Tygra’s Father in the 2011 Thundercats reboot. Mr. Kenney will be available all day for autographs and photos. The 2013 Canadian 80s Toy Expo will be April 14th, 2013 at the Delta Meadowvale Hotel and Conference Centre – 6750 Mississauga Road, Mississauga, Ontario. The show features a huge selection of vintage 80s toys and all the latest releases from today such as Super Heroes (Marvel Universe/Legends, DC Universe etc), Star Wars (new and vintage), GIJoe (vintage and modern), Transformers (vintage and Japanese imports), Masters of the Universe (vintage and modern),Wrestling, and tons of other Action Figures and collectibles. The 2013 Canadian 80s Toy Expo will be April 14th, 2013 at the Delta Meadowvale Hotel and Conference Centre � 6750 Mississauga Road, Mississauga, Ontario. The show features a huge selection of vintage 80s toys and all the latest releases from today such as Super Heroes (Marvel Universe/Legends, DC Universe etc), Star Wars (new and vintage), GIJoe (vintage and modern), Transformers (vintage and Japanese imports), Masters of the Universe (vintage and modern),Wrestling, and tons of other Action Figures and collectibles. Many of the same dealers as Action Figure Expo will be at this event. Free parking. The people that run this convention have a lot of nerve calling it an "80s toy expo", because 80s toys are hardly what you'll find there, unless you're looking for Transformers or He-Man. It almost felt like TFcon Lite. I decided to make the drive from Buffalo. Never again!